After a two hours cruise which was less stressful for me than expected we arrived in El Calafate at a nice camp ground. They also offer beds for ~14€ a night what we take for one night as we don’t like to built the tent again. Then we made the last 80km to the glacier (paid $260,- entrance fee; ~€18,50) and were deeply impressed of the size of Perito Mureno. It cracks all time and you need not to wait a long time to see pieces falling down. The atmosphere and the clouds are so beautiful when we drove back. Finally we bought a nice steak for dinner and a good Malbec! Due to a horrible Internet connection here in Chaltén I will add more pictures later. and powdered Anden in the back I enjoyed the ride and arrived surprisingly without any rain 2 ½ hours later in Tortel, a village which has only wooden houses connected by wooden trails. Finally the sun came out. It was worthwhile to do it. On my way back to Cochrane I found a nice place with rabbits in the fields. And, after my tent was built up, other friends I didn’t think about. Ten cows are very interested in me and my stuff and I had a lot to do to get rid of them. and a Condor is flying above me. After a while I saw in the mirror a headlight that came nearer very quickly and was overtaking me. What the hell is this? Two people on an Africa Twin (RD4), respect! At the Chilean boarder I met Alex and Isi from Tübingen again. And from now on we drove together. Only 10 min at this boarder and another 20 min at the Argentinian boarder, that’s it. 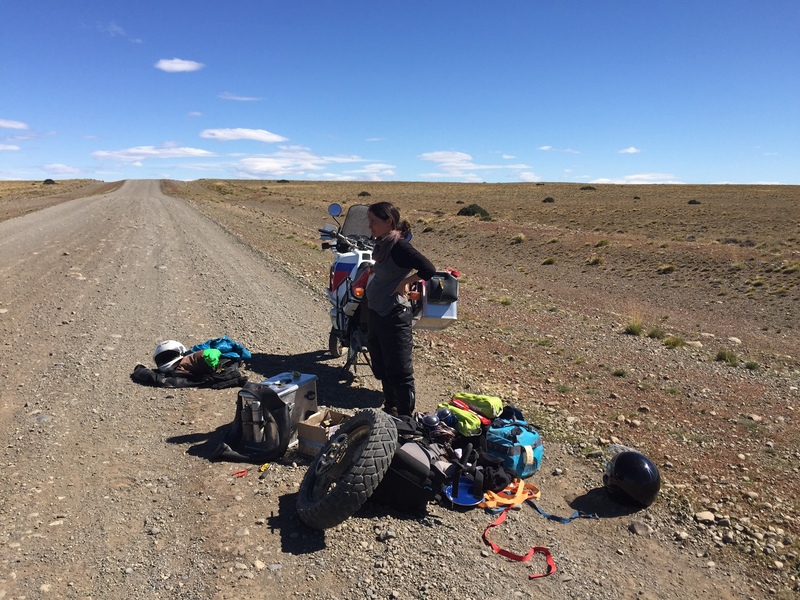 The road was very challenging because big gravel, big holes and suddenly upcoming wind needed high concentration. Flamingos and Nandus came along and after 70km we came to the well paved Routa 40. In Baja Caracola we got petrol and finally a little space for the tents at a strange landlord’s ground. Heading to the South we saw a fox crossing the road. The rest is not very interesting and in Governando Georges we were looking for money that is not that easy in Argentina because all credit cards with the new chip on it are not accepted. Damn! Luckily we got some Pesos in the restaurant where we ate the best empanadas so far. The owner changes US Dollars (1:13) as well as Euros (1:14). The wind is really low from Tres Lagos onwards to El Chaltén the scenery became more various. 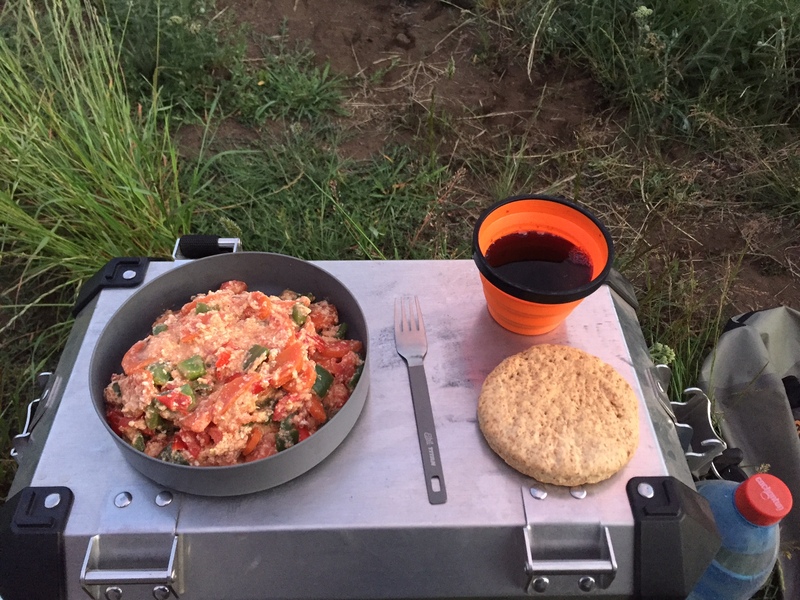 We found a very nice camp ground and ate one of the best steak ever. We will stay in Chaltén for three nights. A wonderful morning with sun and nearly no wind let us start the trail to Laguna de los Tres. While we see Monte Fitz Roy (3.405m) at the beginning surrounded by clouds we could see it better and better the more we walked. After the last kilometer of ten that was by far the hardest we got such an impressive panorama. and after 8 ½ hours we were back to the starting point. What a nice route! While Isi and Alex are doing another trail today to Cerro Torre (3.102m) I maintain my bones and spend the day for recovering. 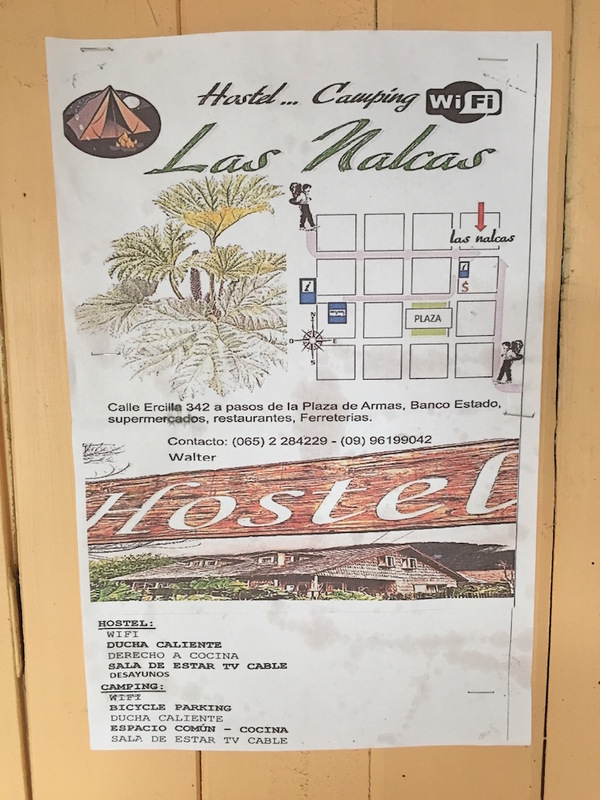 After 5 days I found a place with a reasonable internet connection. Below you will find my trip from Santiago to Chaitén. In the meantime I’m in Chaitén, a very boring village which was fully covered by the near volcano Chaitén in 2008. 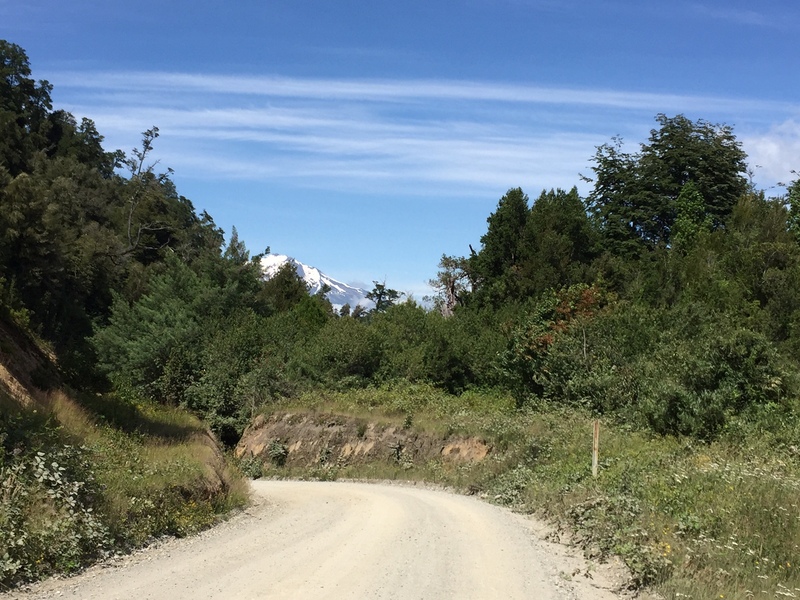 The street is exactly how I imagined the famous Carretera Austral. I got immediately a very to La Arena to La Pechua. And the street changes from paved to dirty road unexpectedly. Only the Chilenes know why they do it in this way. 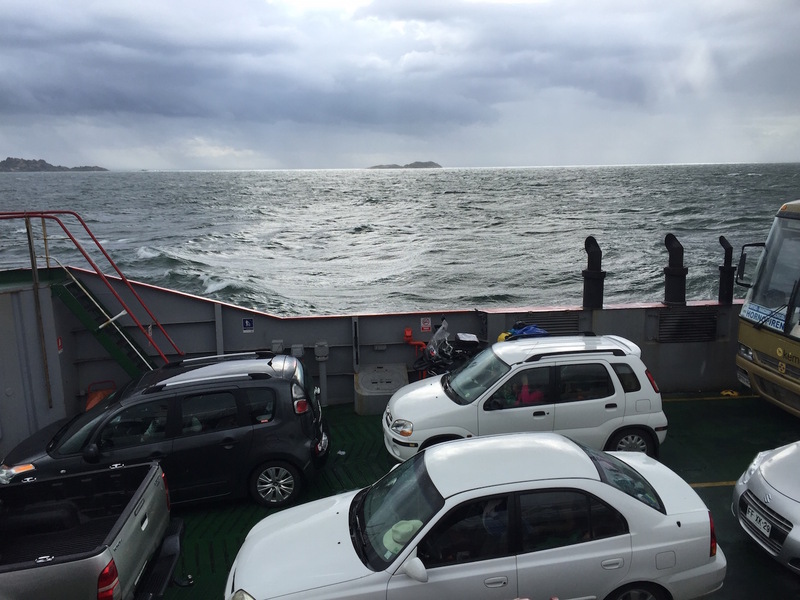 The spooky scenery is impressive and I got the first ferry boat without any problem. The rain became stronger and I put on my rain protection even if I haven’t have a good sensitivity in my fingers it was warm and dry. My full concentration was necessary again because deep road holes and the bad weather was not the best combination. As the office for the next ferry got closed by 7 p.m. and I arrived at 7.30 p.m. I had to look for an accommodation for the night and I did find a nice (and probably the smallest room in my life) place around the corner. I was very happy because the weather was awful. I could stand up very early the next morning at 7.30 a.m. to buy a ticket for my motorbike and myself to leave at 10.30 p.m.. This gives me enough time to pack all my stuff and have a breakfast which was included in the price of $10.000 (~€14,-). It is amazing how punctually Chileans are. Exactly at 10.30 a.m. we have left Hornopirén and 5 hours later we arrived in Caleta Gonzalo. 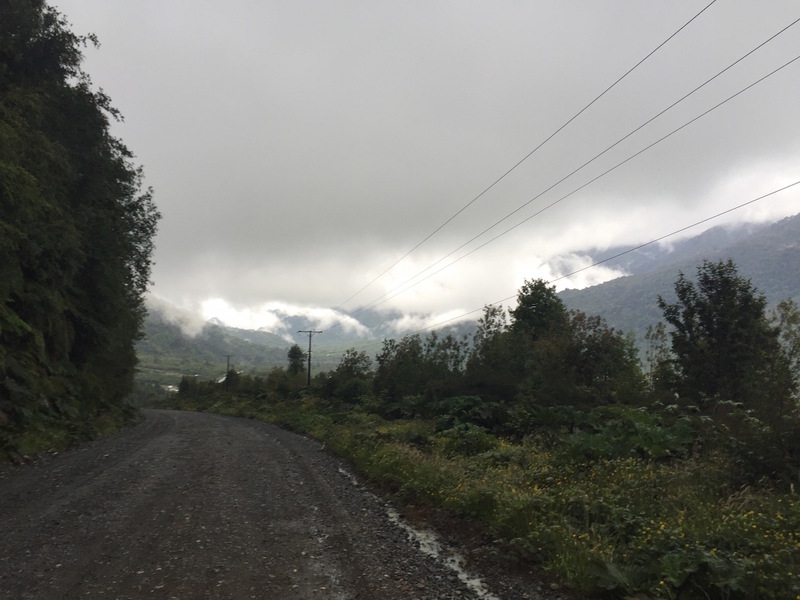 Now again take out the air and go for the next 45 km to Chaitén on a gravel road. Arriving there I was really disappointed. 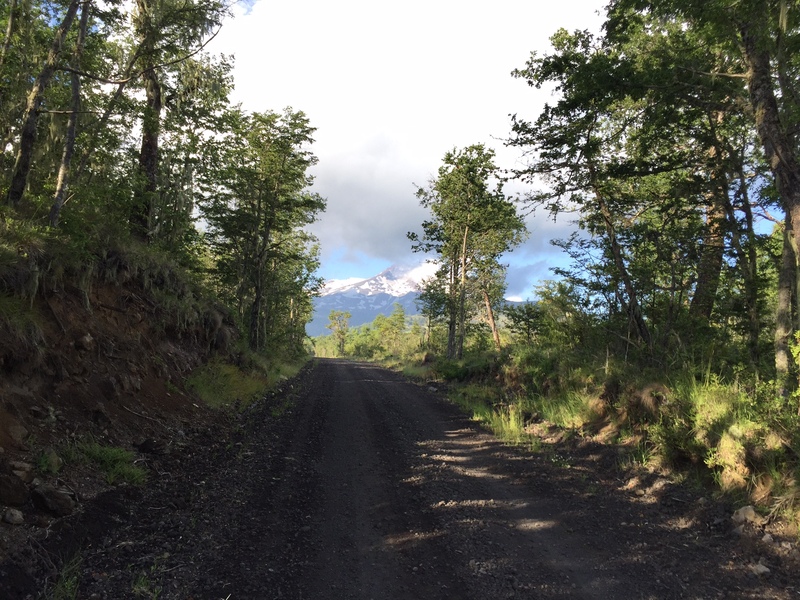 This village is almost dead.Probably due to the fact that the volcano Chaitén covered the whole village in 2008. I got petrol (which costs here more than in Europe: $925 ~ € 1,35) but finally no money from the bank because the add 2 decimals to the request which means that they ask for $20.000.000 instead of $ 200.000. This issue with Chilean peso will end up in no money. Luckily I have some left. I stayed in a nice hostel after a got the hint in a restaurant. For $12.000 I can sleep dry and without building up the tent again in the rain:-) Tomorrow I will head to Coyhaique. 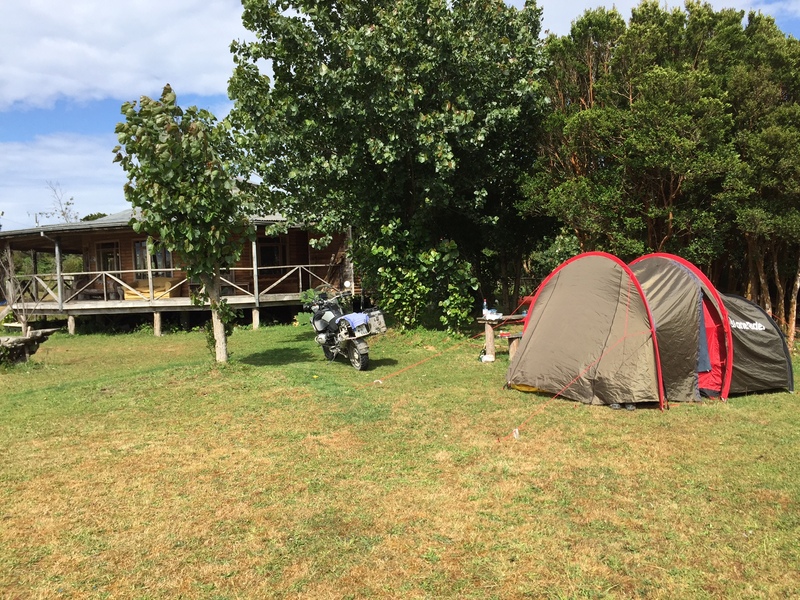 After 2 days on Chiloé where I found a beautiful camping site near the pacific next to the national park I had to travel back to Puerto Montt because no ferry was available for me and my motorbike. The national park was a little disappointing because the indigenous don’t care about the nature and oil is at many places. A trail on my map was final a forest road and therefore not as nice as hoped. 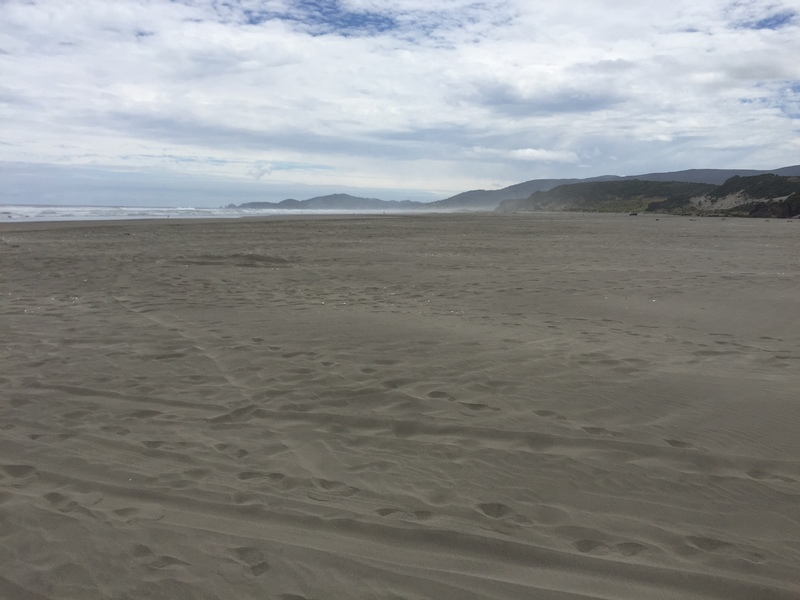 I went back to the beach and spent there 2 hours. 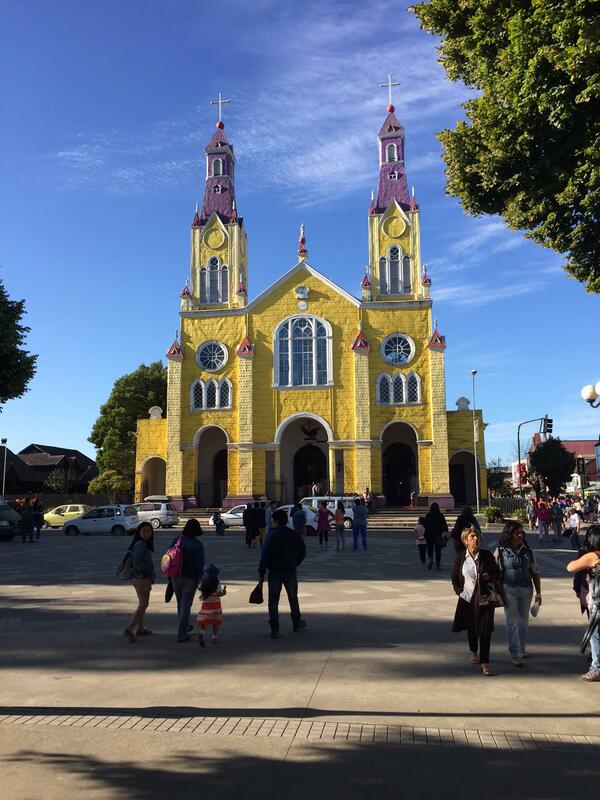 Castro is a really nice village with a pretty wooden church. Driving back in the evening it happened. A deep road hole… which I saw the day before but now it was too late. I smashed into it and… luckily nothing happened with my wheel nor with the rim. Only my windshield extension flew away. And due to high grass I couldn’t find it. It rained the whole night (but wasn’t that cold than the night before where the temperature went down below 10°C) and just in time it stopped in the morning. 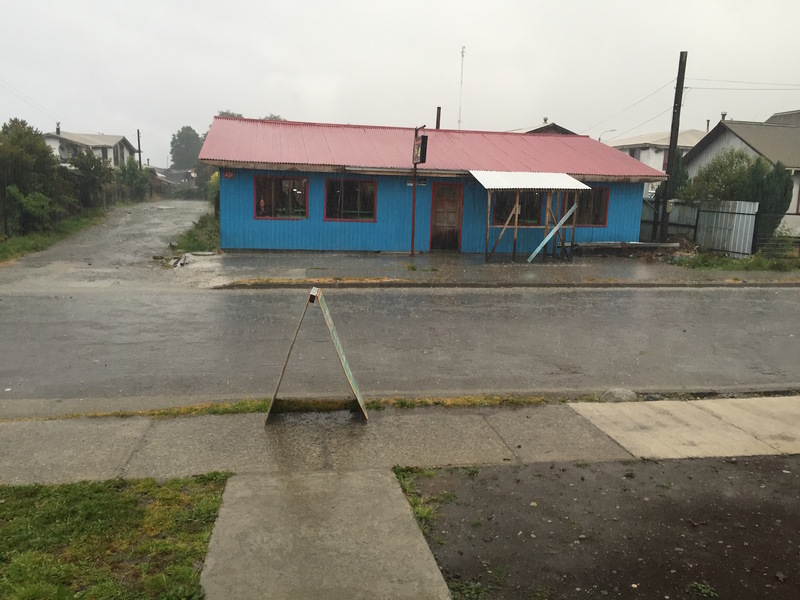 I could pack a dry tent and headed back to Puerto Montt. The street workers were just cutting the grass and so… I found my windshield!! The weather forecast doesn’t look good and I took out all my rain protection. 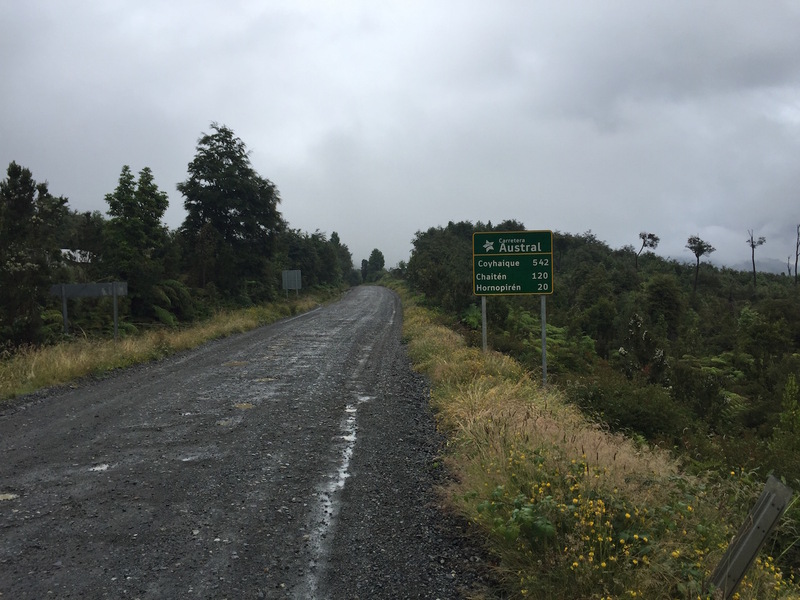 With the begin of the carretera austral in Puerto Montt I have 24.000km on my speedometer (start was at 21.500km in Valparaiso) and I’m 1.100 km south from Santiago. 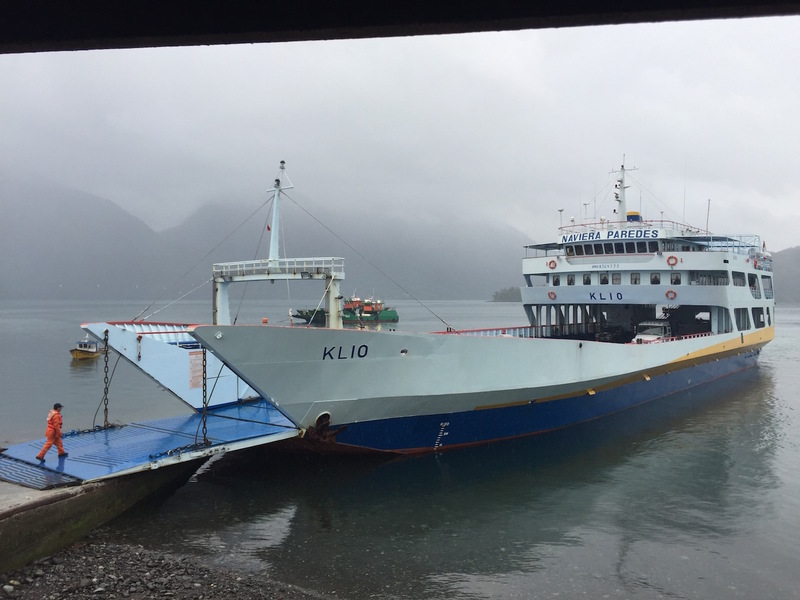 After driving around almost all lakes in the so called Lake District I ended up in Puerto Varas, a little village near Puerto Montt in the south. On my way I passed so many nice places with various types of ground and beautiful birds. Let’s have a look. 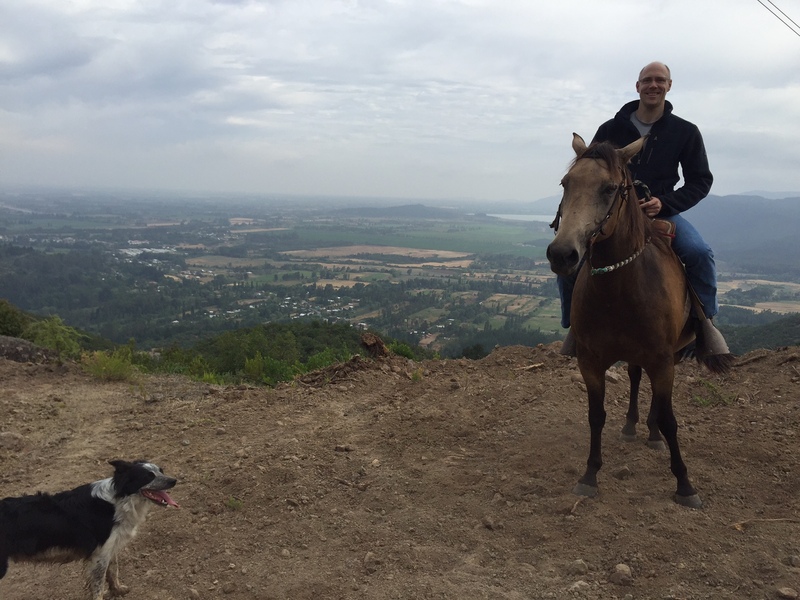 Over last days I spent 2 days in Rari and changed my bike into a horse. This place was like a paradise and I met Johanna who I first met in Salamanca. From there I rode down to the National Park Conguillio where I first struggled with the sand. And so I couldn’t watch and drive at the same time. My next stop was Laguna Blanco. Unfortunately I couldn’t find the Laguna and finally I was happy that I didn’t fall. As more than 50% is gravel I decided to make a 2 day stop at a camping near Lican Ray at the Lago Ranco. Not each day to built the tent is really something I appreciate 😊 With a gorgeous nature and dreams of hedges I headed to Termas Puyehue.